While visiting the Kings Canyon and Sequoia National Forests in California, my family stumbled upon one of our most interesting adventures. There, on the side of the mountain, off the main road up to the entrance of Kings Canyon National Park, we saw a sign for the Cat Haven. Deciding to take a little detour before our mountain experience, we entered the Cat Haven entrance. There we found 100 scenic acres with guided tours of some of the rarest cats in the world. Inside while waiting for our tour, we were treated to displays outlining their grass-root level support for range country conservation. 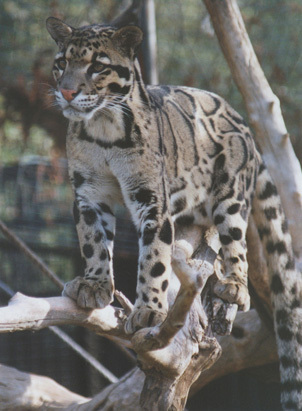 Opened in 1998, the Cat Haven offers guided tours which introduce visitors to snow leopards, clouded leopards, cheetahs, jaguars, lions, lynx, and more! 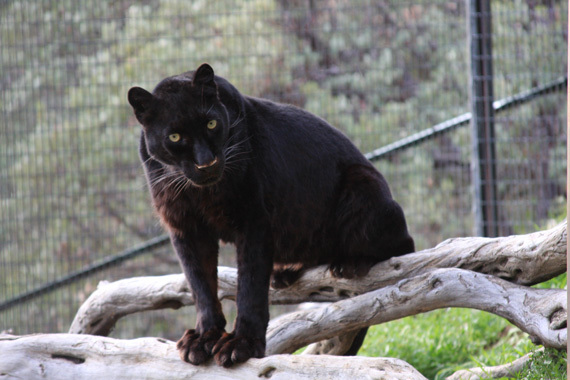 The cat enclosures take advantage of the foothills with low humidity, favorable temperatures, old growth manzanita, live oak and buckeye trees, granite boulders and other natural features. Three springs provide excellent water supplies. The enclosures provide a lot of room for the animals to play while allowing them areas for privacy. We definitely felt as if we were joining the animals’ environment rather than them being put on display in ours. Dale Anderson has been involved in the Cat Haven since its inception in 1992. 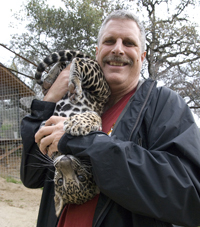 He built the Cat Haven with the goals to: exhibit a variety of wild cats and engage public support for their conservation in the wild via specific projects, support responsible and effective captive management, specialize in jaguars: a former native of North America which has not received sufficient attention, and create a facility which can foster useful attributes in youth and encourage respect for the natural world. His enthusiasm for this center is evident. Let’s look into his world to find out why this place is so important to him and get a glimpse of his amazing animals. AK: How did you first discover your love for cats? DA: In the 7th grade a man was invited to my world geography class to talk about his mountain lion. I have wanted to do something with wild cats ever since. What I wanted then was to have one as a pet. Today my work with cats is very different. I never did have a wild cat as a pet, but we have 26 cats at the Cat Haven for people to see and learn about. AK: What jobs did you have throughout the years that led you to running the Cat Haven? DA: I worked construction and am a licensed aircraft mechanic and flight instructor. I did that for a time. I was an airline pilot for 10 years. These jobs were all very important for me to be ready to build and run the Cat Haven. I always tell young people to pursue the jobs in life they like to do and take a love of animals with them. That is what I did. Most of the people that volunteer at the Cat Haven did not go to special animals schools. They have very different backgrounds, but they all love cats. AK: How has your perspective about cats and cat conservation changed over the years? DA: It has changed a lot. I thought I wanted a pet and now I do conservation of cats all over the world. I think the most important thing I have learned over the years is that conservation needs to be done where the animals live, not in the zoos. We still have areas where animals live wild and we need to save those areas. The Cat Haven is a great place to see cats and learn about them, but we need to save them where they live in the wild. AK: Why are your cats kept in captivity instead of being released into the wild? 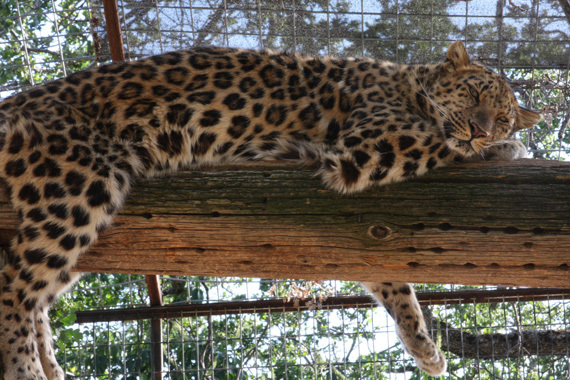 DA: Cats in captivity have not had the training needed to survive in the wild. Some of the big cats can live with their mothers for almost 2 years learning skills to survive. People cannot show them what to do and be very successful. Cats live on their own and cannot be paired with other cats to show them what to do. (Lions and sometimes cheetahs are exceptions.) 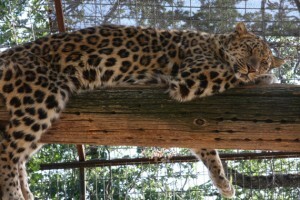 So captive cats will most likely stay captive and we need to work on keeping wild cats wild where they live in nature. AK: Where did you find the cats that are in your facility? DA: They come from zoos all over the world. We have cats from Brazil, South Africa, Canada, and the USA. The Cat Haven does not “rescue” cats from people that should not have them. We choose the cats we have carefully for people to get excited about the many different species and then want to help in conservation. We have two bobcats that came from the wild. They were found in a washing machine where their mother made her nest. The mother was found shot and the kittens would have not have survived if someone did not take action to bring them into captivity. This is one of the only reasons to take cats from the wild. We wanted people to remember the story of the bobcats, so their names are Whirlpool and Maytag since they were found in a washing machine. AK: How do you adapt your haven for different species of cats? DA: Cats in general can adapt to different environments. The location was picked because it does not get very cold or hot for long periods of time. The biggest concern is for the small cats when it gets cold. They do not have big bodies to keep them warm, so we provide places for them to get warm. Most cats like to get up high and look down on things, so we try to keep the native trees in the enclosures or build platforms if needed. Big cats like lions and tigers do not climb trees, therefore we provide them with more ground area. We cannot recreate the habitat they would live in in the wild, but we can make a good home where they can live happy lives. Believe me, the cats at the Cat Haven are happy cats. AK: How did you raise the money to start the Cat Haven? DA: I had a plan that went along with the dream and sent out inquires to different people I knew and asked for support. A gentleman that I used to work for put in a big part of the money to get started. He is someone I will never forget. It is very exciting to have someone believe in you and your dream and help make it happen. This is very important to remember, one person changed the world for the better because of his action to get involved with another person’s dream. Cats are being saved around the world because of this action. The rest of the money came from banks. We are always looking for others that want to get involved and raise more money to help in the work of conservation. AK: What has been a funny story that happened while you’ve cared for your cats? DA: I don’t know if there is one funny story. It seems the cats are always spraying urine on someone (their way of marking you) and that is always funny to see but not as funny when it happens to you. AK: If someone would like to become involved with caring for exotic animals, what options do they have? DA: At the Cat Haven you need to be 16 to volunteer and 18 to work with the cats but younger people can help in other ways. We have many schools every year start a “Coins for Cats” drive. Kids collect coins for a week period of time and the money raised goes to one of the cat conservation projects where the cats are wild. I want kids to know they can make a difference in saving cats in the wild and can start by collecting coins, because every penny, nickel and dime that is collected will help. AK: Have you had a mentor throughout the years that has helped you succeed in your goals? DA: I think the best mentor was my father. I still think of things he said to me many years ago. I was participating in track and field, I think it was junior high, it was not something I liked and I wanted to quit. His response was, “Finish what you start even though you might not like it. There will be many things in life that you will not like, but will still have to do, so finish.” So I finished that year in track, but that was the only year. In building the Cat Haven there were many things I did not like to do, but I had to do them to finish. He also gave me confidence. It is very important to have people that believe in you and my father believed in me. Many people said to me that I could not build the Cat Haven. It was too hard to do or too much work. Confidence allowed me to believe in myself. In turn that allowed me to overcome the road blocks people put in front of me and make the Cat Haven come true. You can find out more about the Cat Haven at: http://www.cathaven.com/. Thank for your comment, Carol. I have visited the Cat Haven many times with my family and I can attest that the cats appear happy and well cared for. It is a fabulous place to visit! I am a docent at the Cat Haven and can attest that it is a wonderful place. The cats are, indeed, happy, and so are the volunteers. All of us who are work at the Cat Haven feel that it is a privilege to be part of taking care of the cats and telling people about their needs for conservation in the wild.